Concerned about receding gums? 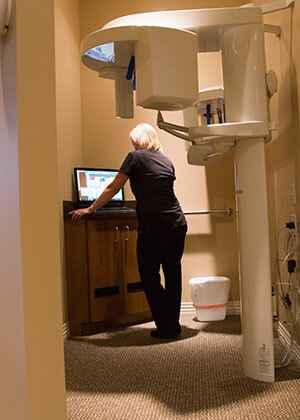 Come in for a complimentary consultation. What is Gum Recession and Why Does it Need to be Treated? Some people may consider gum recession a cosmetic issue and isn't worth it to fix. Those people couldn't be more wrong! Gums are critical for your teeth. Their roles range from protecting the sensitive living roots of your teeth to maintaining optimal structure within your mouth. With this new Pinhole Surgical Technique, resolving gum recession is quickly remedied and the results are an instant improvement. Leaving a receding gum line exposed can lead to severe consequences. Your teeth can become loose and eventually fall out. More serious still is that missing teeth can lead to degradation of the jaw bone. This creates a need for expensive and complicated bone grafting in the future. And, your tooth enamel is thinner under the gum line, so extreme sensitivity can develop. 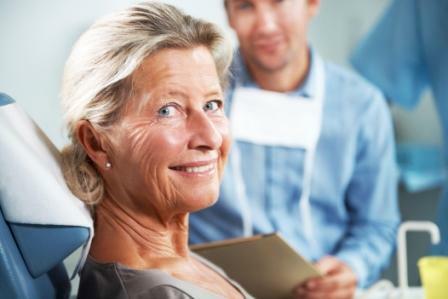 Unfortunately, once the gums have receded, your dentist will need to restore your gum health. For decades, the only effective treatment was tissue grafting. This was a procedure that cuts tissue from the roof of your mouth and stitches those tissue pieces in place over your gums. This technique leaves two areas that take a lot of time to heal. Today, however, a faster and more effective treatment exists. In 2006, Dr. John Chao invented the Pinhole Surgical Technique. Since then, he's been teaching willing dentists how to improve results and reduce recovery time for patients who need gum grafting. This effective surgical method has minimal risks and instant rewards so that your smile will look better as soon as the procedure is over. "The key to The Pinhole® Surgical Technique is that we don't have to perform a graft. We go through a pinhole which is made by a needle, so there's no scalpel or cutting at all. Then we can literally shift the tissue down with very little trauma to the tissue. Also, there are no open wounds. It's so minimally invasive; nothing could be more noninvasive in dentistry than this. I know that if you're not used to seeing things like this, it seems like it's quite traumatic, but really it's very, very minimal. There's so much blood supply and so much collagen in the area that when you see the patient the next day, you can hardly tell if anything was done. The tiny pinhole that's been made shrinks away by the next day." How Can Dr. Kevin Postol Help? Because this is a specialized technique, many dentists don’t offer it in their offices. But, Dr. Postol is certified to perform the Pinhole Surgical Technique in Ballwin! He loves helping patients enjoy a healthier, rejuvenated gum line without the pain and recovery involved with traditional gum grafting surgery. On top of his Pinhole Surgical Technique certification, Dr. Postol keeps up-to-date with the best technologies and procedures to ensure you leave our dental office with a healthy, beautiful smile. Call us now to schedule an appointment! How Does the Pinhole Surgical Technique Compare to Traditional Procedures? Gum grafting, using scalpels and stitches, is one of the most popular ways to prevent receding gums. But, the grafts might not heal properly and stimulate gum growth. That's why your Ballwin family dentist uses methods such as the Pinhole Surgical Technique (PST). A study was conducted to examine the results of PST used on 43 consecutive patients. After 18 months, no second surgery was necessary. They also didn't need invasive tools like scalpels and stitches. 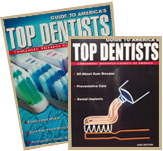 There was also a 94% success rate in fixing the receding gums! The procedure took about 22 minutes, a significant improvement over traditional grafting. After 2 weeks, 95% of the patients said they were satisfied with the experience and results of the procedure. Postoperative complications were minimal. With these results in mind, the Pinhole Surgical Technique, performed by your Ballwin family dentist, can be a great alternative to treat gum recession. As your Ballwin family dentist, you can expect professional care, a comfortable environment, and a healthy, beautiful smile. The Pinhole Surgical Technique repositions the gumline to cover your tooth’s root. Unlike more outdated methods, it is not done with the use of scalpels, periosteal elevators, or sutures. Instead, your dentist creates a small pinhole by piercing the gums. Then, using specialized instruments, he will create a "flap" that will extend over your tooth, to create a new gumline. Once Dr. Postol separates the connective tissue from the bone and tooth, he can push it into the desired position. Then, he will place collagen strips to hold the tissue in place and reconnect to the bone and tooth in the desired location. These collagen strips will eventually dissolve, so no need for stitches! Your Ballwin family dentist cuts the collagen membrane into strips and places it through the pinhole. He then pushes them under the gums, covering the tooth root. Thanks to those strips, your gums are supported supported at the new position, and they heal fast. If you have receding gums, do not procrastinate getting treatment. Contact us today to schedule a consultation. 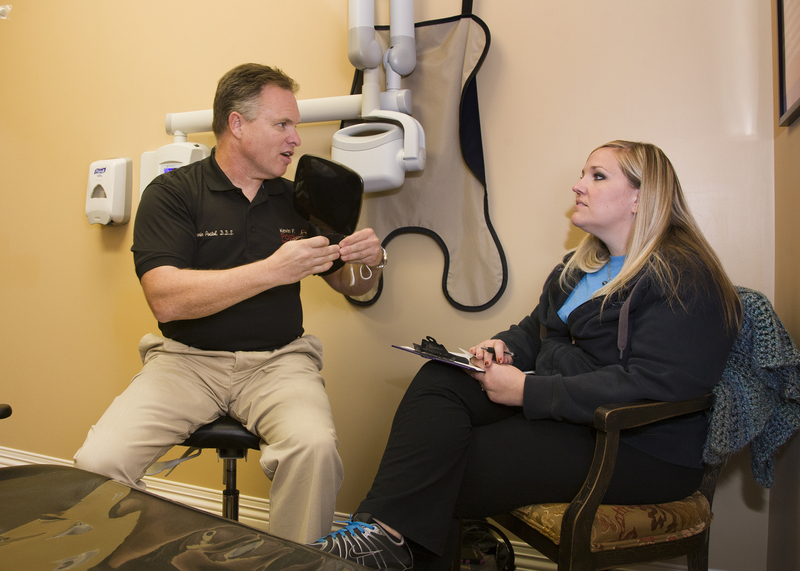 Gum recession and gum disease treatment in Ballwin has never been more patient-focused. Come in and see what a difference working with one of the best dentists in Ballwin can make for your long-term oral well-being. Our caring and friendly staff would love to meet you and walk you through the whole process of what to expect for any procedure!